When you mention Bill Belichick, people regardless of how much they like professional football will know the name on at a minimum a base level. The NFL has been terrorized by the Bill Belichick led New England Patriots on a level of consistency that has never been maintained before in the history of professional football. 2019 marks the ninth overall Super Bowl appearance for Bill Belichick, of which he has won five of them. Arguably the best coach to ever stand on a NFL sideline, the question is what makes Bill Belichick so consistent at staying on top of the National Football League? Here are the four biggest takeaways that have proven to propel New England defensively to success year in and year out and very well may land them their sixth Lombardi Trophy on Sunday. According to Pro Football Reference, The New England Patriots since 2006 have not finished outside of the top ten in the NFL in total offensive scoring. Since 2012 they have not finished outside of the top four in the league. There is an old quote that says, “Sometimes the best defense is a good offense.” By scoring a ton of points each game, New England defensively has been able to limit opponents and what they can run in their schemes. Since 2006 as well, the New England Patriots have not finished outside the top eleven in total points given up. On the contrary, the Patriots hardly ever finish in the top half of the league in total yards given up. Belichick has sort of revolutionized the game and proven the old adage of bend but don’t break to be true. His teams tend to give up a mass amount of yards, but they don’t give up a ton of points. The game of football has seen a change in recent years of the goal not being stop teams from gaining yards, but rather force teams to kick field goals instead of touchdowns. This has always been the goal, the Patriots are living proof that the amount of yards you give up do not matter as much as your team&apos;s ability to hold teams out of the end zone. Belichick has proven time and time again to not let opposing team&apos;s best players beat him. Twitter user @JamesLight posted a clip talking about how Belichick is going to use his patented 1 Double ____ coverage to eliminate the opponents best wide receiver, which that week happened to be Chad Johnson. Bill Belichick is a master of shutting down opponents best players and forcing their secondary guys to take on a much bigger role in the game. By doing this, you are forcing teams and opponents to go to their plan B which is not something teams want to do for a full sixty minutes. Regardless of the level of football that you coach, this is a lesson that all coaches can all use and implement for their teams. Force the ball out of their best players hands and into someone else&apos;s, because if it works for the New England Patriots, the same effect can trickle down into even the lowest levels. This is a huge game planning tactic that all teams across America and the rest of the world should implement is how to stop the best player from hurting you. The New England Patriots are masters of technique and the basics. As seen here, the New England Patriots defensive philosophy is nothing out of the ordinary and nothing most people haven’t seen or experienced before. What the Patriots do though is live by these words every single practice, every single day. One of the best videos out there comes from a clinic former defensive coordinator and current Detroit Lions head coach Matt Patricia gave at the University of Notre Dame. Matt Patricia noted two things of importance in the clinic. The first is that the New England Patriots defense is going to practice tackling every single day. The NFL doesn’t allow players to be in pads every single practice during the preseason or regular season, but that doesn’t prevent the Patriots from teaching and working on their tackling. One of their favorite defensive tackling drills is teaching their to learn how to track and fit a tackle. This is a drill every single level of football can incorporate and one the Patriots specialize in. New England also specializes in the art of creating takeaways. The Patriots are consistently in the top ten of the turnover ratio, and a lot has to do with the teaching they incorporate for their defensive players on a daily basis. From tip drills, to scoop and score, to teaching their players how to return intercepted footballs, New England puts a premium on doing the little things to perfection. It shows in their play as they hardly make little mistakes. Bill Belichick is the ultimate student of the game. Have you ever noticed that when the NFL zigs, Bill Belichick zags? That when teams line up in the spread and sling the ball all over the field, Belichick led teams come out in the I formation and pound the rock? 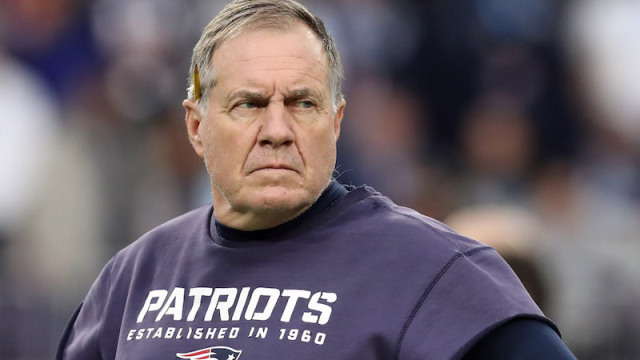 Bill Belichick has proved the test of time and continuously adapted his teams and defenses to the types of football that is being played Belichick over the course of his coaching career has never gotten stale in his schemes. Bigger than that though is the points of emphasis for his defenses have remained constant: stop the run, tackle well, force takeaways. Most teams and coaches around the country continue to look at the next fascinating scheme or the cover all defense, but Coach Belichick has continued to prove that to play sound defense you must do the very basics to perfection. This is no coincidence that arguably the best coach in the history of the game of football has proven time and time again how to win football games hinges on teams doing the right thing consistently. Overall the New England Patriots dynasty will be hard to match and it may not happen in anyone reading this articles lifetime. We need to sit back and admire the greatness that is a Bill Belichick led team for all that it is worth. Coach Belichick has given the rest of the football world the model to build a winning team, and it once again comes down to nothing in the game being too insignificant to coach it hard.